Neurohospitalist coverage is heavy on stroke, but also covers good range of other conditions. Idaho is consistently ranked in the top 5 states to practice medicine by numerous publications due to it's low physician density, favorable malpractice laws and low tax burden. In addition to being a great place to work, it's a fantastic place to live and play as well. Southern Idaho features four seasons of outdoor fun with world class downhill skiing, mountain biking and fly fishing. The fast growing Boise Metropolitan Area is home to a vibrant downtown area with fine dining and many cultural amenities including the classic Egyptian Theater, the Boise Art Museum, as well as college and semi-professional sports. St. Luke's Boise has served the residents of the Treasure Valley for more than a century and is known for its centers of excellence in cancer, heart, and women's healthcare. Our Boise campus is also home to St. Luke's Children's Hospital, the only children's hospital in Idaho. Known as the "City of Trees," Boise is Idaho's capital city—both a cultural center and a playground for those who love the outdoors. A vibrant downtown area affords fine dining, theater, music and college and semi-professional sports. The Greenbelt follows the beautiful Boise River corridor for more than 30 miles and the Boise foothills are home to miles of hiking and biking trails. Located within minutes of premiere ski slopes, whitewater rafting, mountain biking and soaring basalt cliffs, Boise's location provides stunning mountain views and majestic high desert sunsets. Boise's strong economy features leading employers such as high-tech businesses, Fortune 500 companies, state government, universities, corporate headquarters and regional health centers. Despite our rapid growth, Boise still maintains a friendly neighborhood feel. Here you will find outstanding schools in a district on the leading edge of education. Our purpose statement of Educating Today for a Better Tomorrow symbolizes our commitment to provide the finest education possible for every student. Fantastic public school education; with 20+ merit scholars. 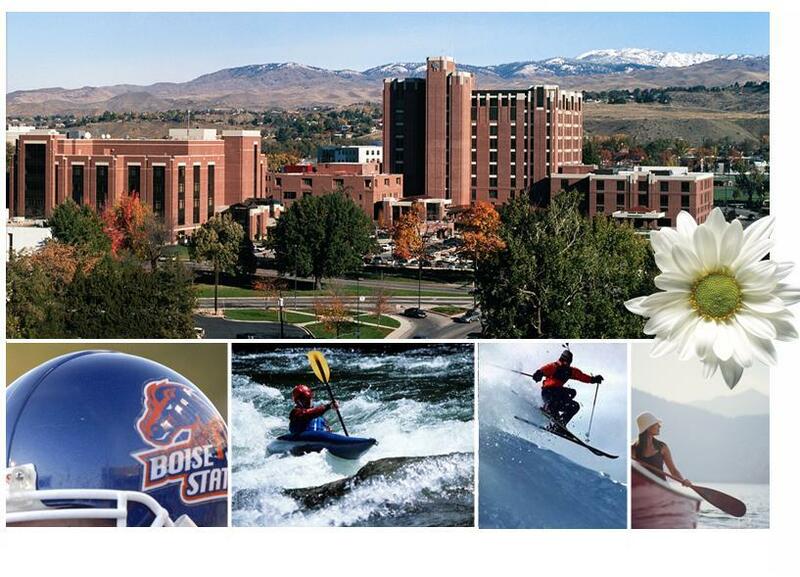 Visit Boise Valley Economic Partnership for information on quality of life and workforce.